A photo from the episode "(As We Know It)." 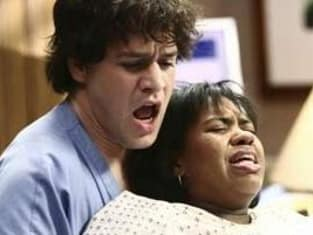 George and Addison help Miranda give birth. 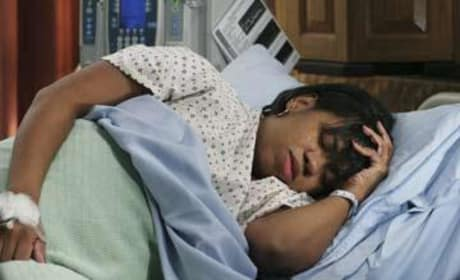 Miranda Bailey is not having a fun time in this episode. 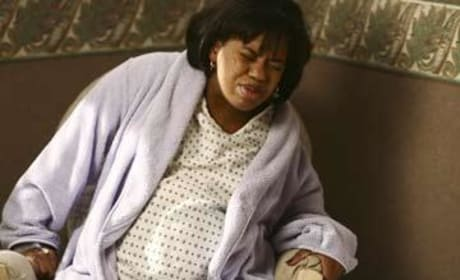 Miranda can't bear the thought of her husband in surgery and herself about to give birth. 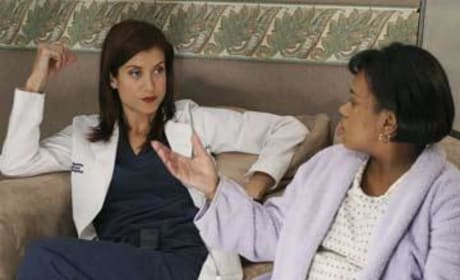 Addison and a very pregnant Miranda discuss. 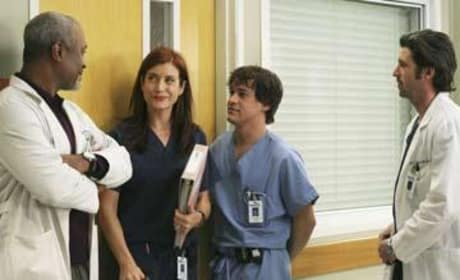 Derek, Addison, George and Richard share one of the few happy moments on this traumatic day. Derek can't believe the events of the past 24 hours. Derek lays one on Addy. 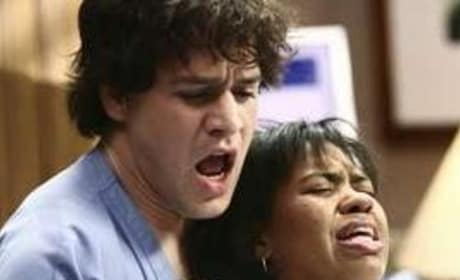 George holds Miranda as she gives birth to son Tucker. [narrating] "In hospitals, they say you know when youâ€™re going to die. Some doctors say itâ€™s a look patients get in their eyes. Some say thereâ€™s a scent, a certain smell. Some say itâ€™s some kind of sixth sense. When the great beyond is headed for you, you feel it coming. If today were your last day on Earth? How would you spend it?" 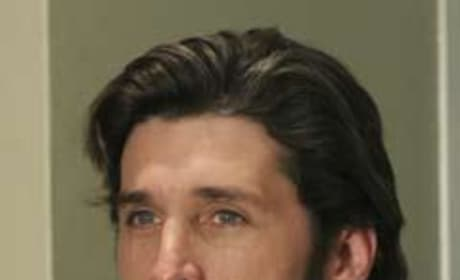 DEREK: "Hey. You almost died today." MEREDITH: "Yeah, I almost died today." MEREDITH: "I can't, I can't remember our last kiss. All I could think about was 'I'm going to die today' and I can't remember our last kiss. Which is pathetic but the last time we were together and happy... I want to be able remember that. And I can't, Derek. I can't remember." DEREK: "I'm glad you didn't die today." DEREK: "It was a Thursday morning, you were wearing that ratty little Dartmouth t-shirt you look so good in. The one with the hole at the back of the neck. You'd just washed you hair and smelled like some kind of... flower. I was running late for surgery, you said you were going to see me later, and you lean to me, put your hand on my chest and you kissed me. Soft. It was quick. Kind of like a habit. You know, like we'd do it everyday for the rest of our lives. Then you went back reading the newspaper and I went to work. That was the last time we kissed."